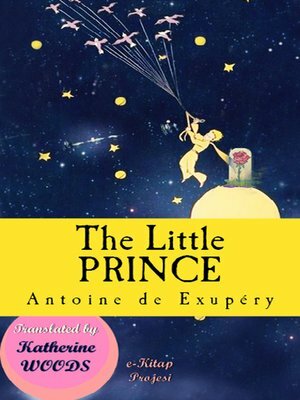 The Little Prince [Le Petit Prince], is a novella and the most famous work of the French aristocrat, writer, poet and pioneering aviator Antoine de Saint-Exupéry (1900–1944). The novella is both the most-read and most-translated book in the French language, and was voted the best book of the 20th century in France. After the outbreak of the Second World War Saint-Exupéry became exiled in North America. In the midst of personal upheavals and failing health, he produced almost half of the writings for which he would be remembered, including a tender tale of loneliness, friendship, love and loss, in the form of a young prince fallen to Earth. An earlier memoir by the author had recounted his aviation experiences in the Sahara Desert, and he is thought to have drawn on those same experiences in The Little Prince. Since its first publication in the United States, the novella has been adapted to numerous art forms and media, including audio recordings, radio plays, live stage, film screen, television, ballet, and operatic works. The Little Prince is a poetic tale, with watercolour illustrations by the author, in which a pilot stranded in the desert meets a young prince fallen to Earth from a tiny asteroid. The story is philosophical and includes social criticism, remarking on the strangeness of the adult world. It was written during a period when Saint-Exupéry fled to North America subsequent to the Fall of France during the Second World War, witnessed first hand by the author and captured in his memoir Flight to Arras. The adult fable, according to one review, is actually "...an allegory of Saint-Exupéry's own life—his search for childhood certainties and interior peace, his mysticism, his belief in human courage and brotherhood.... but also an allusion to the tortured nature of their relationship." Though ostensibly styled as a children's book, The Little Prince makes several observations about life and human nature. For example, Saint-Exupéry tells of a fox meeting the young prince during his travels on Earth. The story's essence is contained in the lines uttered by the fox to the little prince: On ne voit bien qu'avec le cœur. L'essentiel est invisible pour les yeux. ("One sees clearly only with the heart. What is essential is invisible to the eyes.") Other key thematic messages are articulated by the fox, such as: Tu deviens responsable pour toujours de ce que tu as apprivoisé. ("You become responsible, forever, for what you have tamed.") and C'est le temps que tu as perdu pour ta rose qui fait ta rose si importante. ("It is the time you have lost for your rose that makes your rose so important.") The fox's messages are arguably the book's most famous quotations because they deal with human relationships. Antoine de Saint-Exupéry, officially Antoine Marie Jean-Baptiste Roger, comte de Saint Exupéry (29 June 1900 – 31 July 1944) was a French aristocrat, writer, poet, and pioneering aviator. He became a laureate of several of France's highest literary awards and also won the U.S. National Book Award. He is best remembered for his novella The Little Prince (Le Petit Prince) and for his lyrical aviation writings, including Wind, Sand and Stars and Night Flight.